Ryan M. Cardoso is the founder and principal attorney at the Law Offices of Ryan M. Cardoso, PLLC, in Pensacola, Florida. He serves clients in a wide variety of practice areas, including criminal defense, personal injury, and civil litigation. Ryan is an experienced attorney who has helped countless clients seek justice and defend their rights. Ryan M. Cardoso is a graduate of the University of South Florida where he attained his undergraduate degree in Mass Communications with an emphasis on Broadcast News. He went on to obtain his Doctor of Jurisprudence from the University of Florida College of Law in 2002 and graduated with honors. During his time at UF, he was a member of the Moot Court Team where he competed in state and national appellate competitions and was recognized for excellence in legal writing and argument. He has been a member of The Florida Bar since 2003 and is admitted to practice before the U.S. District Courts for the Northern and Southern Districts of Florida. Mr. Cardoso is an experienced criminal defense, personal injury, and civil litigation attorney who has successfully defended the rights of his clients in federal and state courts. In his criminal defense practice, he has tried numerous jury trials to verdict, including several not-guilty verdicts for clients facing lengthy prison sentences. In one jury trial, Ryan's client was found "not guilty" of twenty-two felonies that were based, in large part, on his client's confession that was given during a police interrogation. In addition to his criminal defense practice, Mr. Cardoso also focuses his practice on seeking justice and compensation for clients who have been injured in an accident caused by someone else’s negligence. 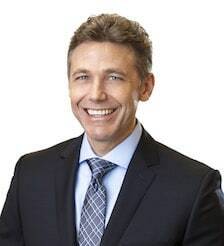 As a civil litigator, Mr. Cardoso represents individual and commercial clients in a wide variety of cases, including business disputes, torts, breach of contract, and other wrongs. He is a skilled litigator and negotiator who will work hard to protect your rights both inside and outside the courtroom. As an experienced attorney, Ryan M. Cardoso understands that his clients want personalized legal advice that is tailored to their individual needs. He works closely with each client to explain their rights and legal options while carefully answering any questions that they may have. He will always keep you informed of any important developments in your case and will work hard to protect your rights. If you are facing a criminal charge or civil legal dispute, you need the counsel of an experienced attorney. Ryan M. Cardoso has the necessary knowledge and skill to explain your rights and provide the legal advice you need to favorably resolve your case. Contact our Pensacola office today to schedule a consultation with attorney Ryan M. Cardoso.